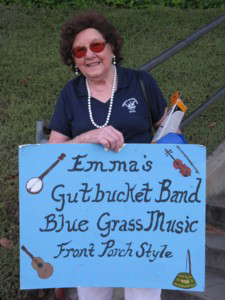 Emma's Gutbucket Band performs for the general public, schools (public and private), senior organizations, veterans, community centers, convalescents, charitable fund-raisers, and more. 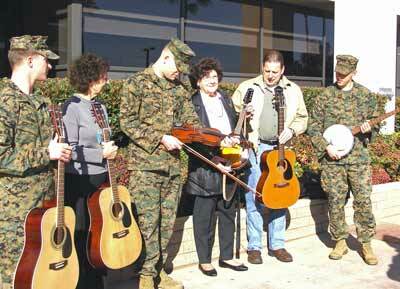 The band plays for free but suggests donations (tax deductible), which go into a fund to support a variety of charitable pourposes including to buy instruments and musical accessories for students, veterans and other deserving individuals or organizations. The school is 7 or 8 blocks down, on the right. The parking lot is small, so it's probably easiest to park on the street. Emma’s Gutbucket Band- A year at a glance- 2018. We will update the calendar as needed. 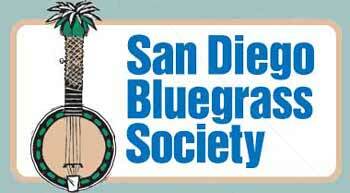 27th- Good Samaritan ( new gig) at 2pm. 6th – Monday at 3pm. 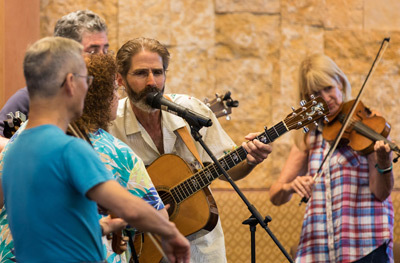 Emma's Gutbucket Band performing for the Jewish Family Service Center on July 3, 2017. Photo by David Cupp. Singing in three part harmony. Photo by David Cupp. 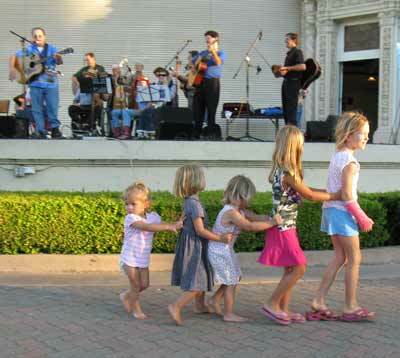 Performing at the Balboa Park Organ Pavilion, with a spontaneous conga line from the enthusiastic audience.